Due to our continuing growth in Wyoming, we are once again looking for certified DIRECTV Technicians to help our Lead Technicians with installations at Hotels in Wyoming and provide service after the install. We will consider those with SBCA certifications for commercial installations, but we prefer those with DIRECTV DRE, DRE PLUS and COM2000 certifications for Hotels! We are placing the ad below in several local publication and online. If this is a fit for you please send your resume to Armando at the email below. Hotel/Commercial Satellite TV Installation Technician needed!!!! Contact us today to help us grow and meet the demand of our Wyoming customers. 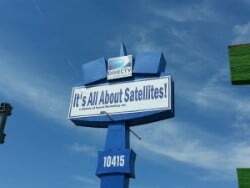 GREAT OPPORTUNITY IN THE SATELLITE INDUSTRY!! SBCA certified. DRE/DRE PLUS and COM2000 certifications are A PLUS. We will help you get the certifications you need! Must be able to travel and do service calls on weekends when needed.